Board of Education Mtg., Elem. Library Classroom, 6:30 p.m. Drama Club Spring Production, Auditorium, 7:00 p.m. Elementary Art Show, 5:30-7:00 p.m.
NJHS Induction Ceremony, Auditorium, 6:00 p.m.
AP English Lit. Exam, 8:00 a.m.
AP European Exam, 11:30 a.m.
AP Psychology Exam, 11:30 a.m.
AP U.S. History Exam, 8:00 a.m. 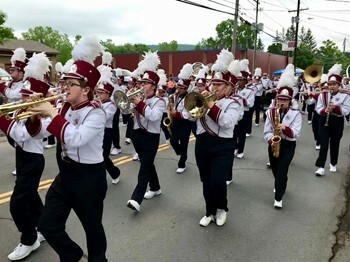 The Sherburne-Earlville Central School District will host the 70th annual Pageant of Bands on Saturday, June 1.